CHAS HELLLIS, LONDON, BLE, c. 1904, No. 2 of a pair. 2 1/2", 28" sleeved by Westley Richards, choked IC/Sk2. 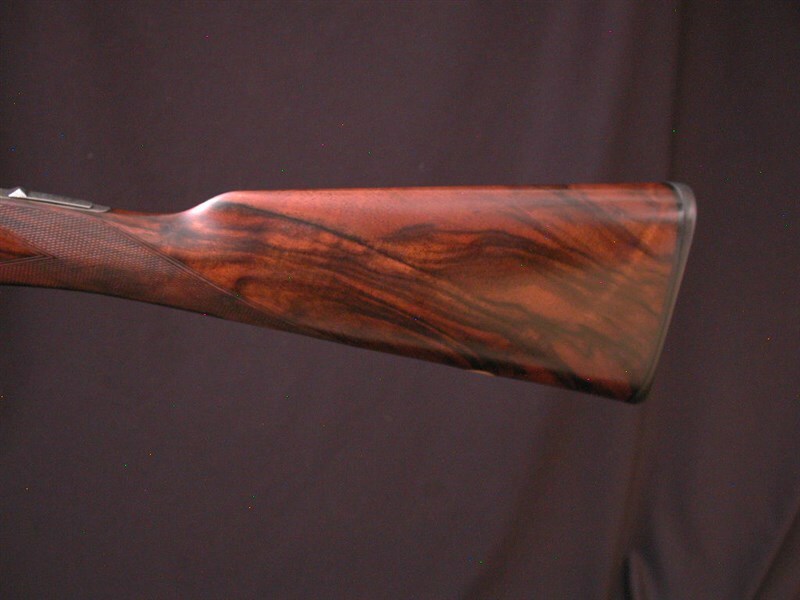 14 5/16" highly figured wood to thin recoil pad. 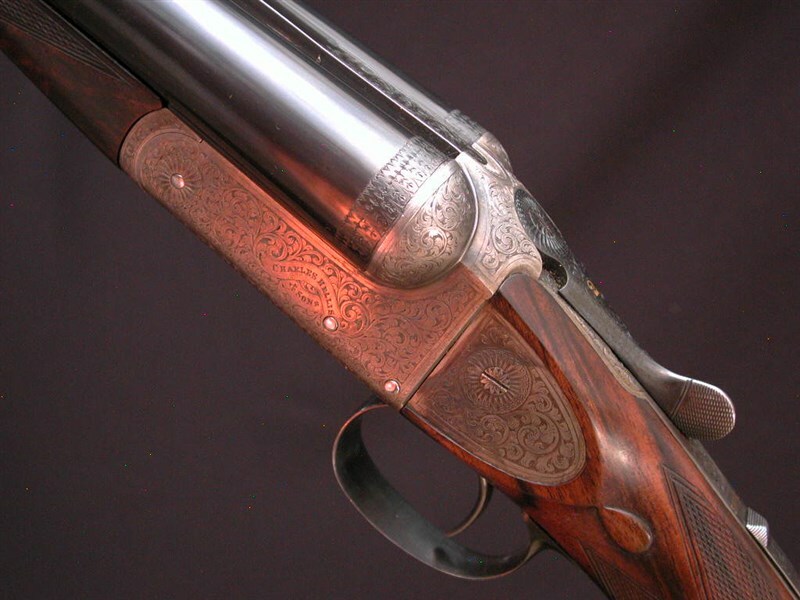 Action retains nearly all original case colors and sports the classic Hellis side plates that the company was famous for - making it one of the strongest boxlocks produced. 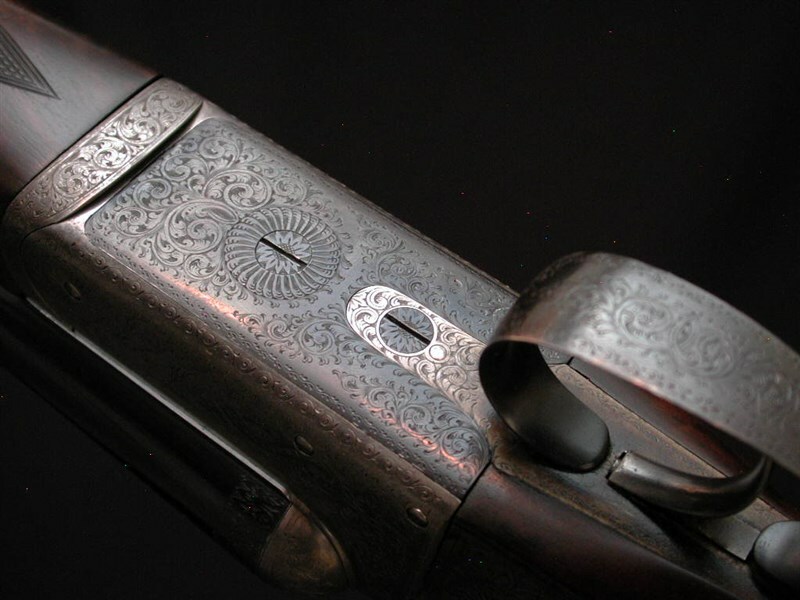 Full coverage engraving, beaded fences, hidden third fastener and single non-selective trigger round out this fine piece of handy work. 6 lbs 13oz's. 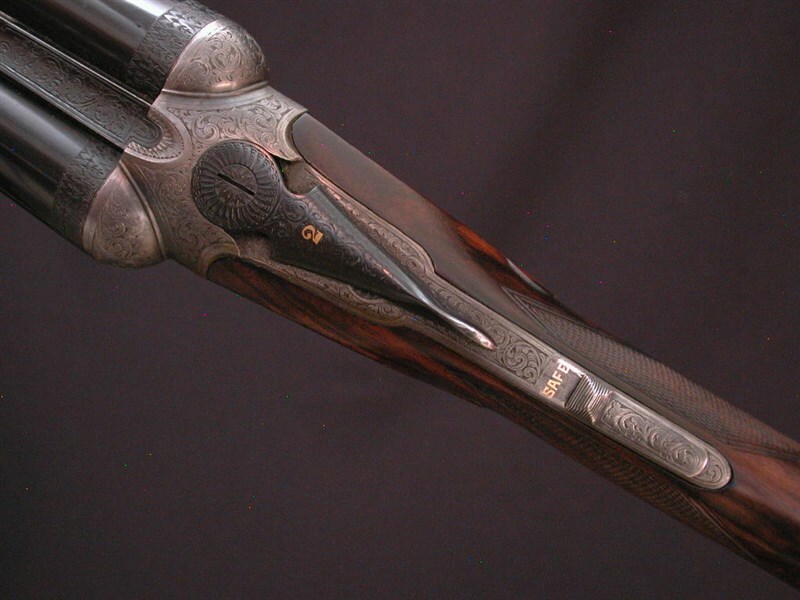 makes this a glorious upland or clays gun. Rest comfortably in its original case with makers lable.